Some classics never go out of style. 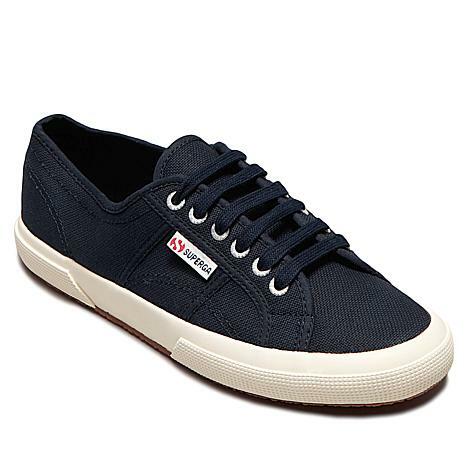 Superga brings you the canvas sneaker profile you know and love with the Italian design flair your fashionable side craves. Pair them with all of your active favorites for a sneaker that's a step above the rest! I have worn these 4 times now. I have arthritis in my feet now so comfort is important. I have always been able to wear a size 10 in 99% of the shoes I try on and these were no exception. I wear 10 and the 10 fit fine. I was able to wear them from the first time I put them on. They lace a little different than I am used to but I am keeping them that way for a difference. I really like them and the red Is awesome! They fit really good and look very cool! 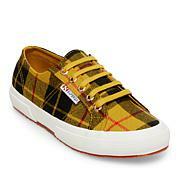 I have several pairs of these sneakers. I love them and needed a new navy pair!